Why do we do Groups? Why does any church have some type of smaller group context? Even if your church does not have a formalized pathway for this, I can almost guarantee you that it is happening in some informal sense. We do groups because we’ve always done them. As the church of Jesus Christ, We have 2000 years of God’s people leaving large teaching gatherings going into smaller contexts, usually homes, to encourage one another and build each other up. “Why groups?” is a question each of us needs to be asking. Where in your church context are you making time and space for Christians speaking words of life, for Christian practice of the 59 One Another passages of the New Testament? Where is the context for Christian courage to be enflamed? For believers to speak a word in season to a soul who needs it? Where is there time and space into which others, maybe even outsiders, may be welcomed in to see Jesus at the center of our circle? Where are Christians getting personally encouraged in your church? Encouraged Christians are incredibly brave with the gospel. One example of this is from our own Home Groups: We had a man very hesitant to join one of our groups. “Why share my feelings?” he said. “What more do I need but my Bible and a study guide that tells me exactly what God’s Word says?” But he did reluctantly joined a Home Group. And it so happens that the group was halfway through sharing their individual testimonies of Christ transforming their lives. And this man, sitting in that circle, was so powerfully affected by each of these stories being told that he was given the courage to share his Christian testimony with a group of people for the very first time. And he wouldn’t stop sharing it after that! What happened in this 21st Century small group was that this man sat in the center of Christian practice of sharing his testimony. Out of this he was given Christian courage to continue sharing it with believers and non-believers alike. That’s plugging into the ancient stream of what brothers and sisters have been doing in and out of smaller groups for 2000 years. This is why we do Groups. So I encourage you to consider in your church where you are making time and space for such a circle to encourage one another and build each other up. 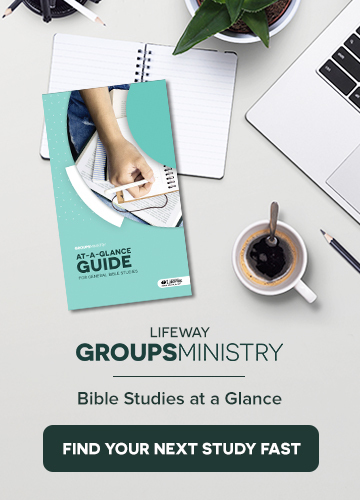 Groups are a standard part of almost every church, but why are they so important? For almost 2,000 years, groups have provided a critical space for Christian practice. And Christian courage to share the gospel. Jared Steven Musgrove serves as Groups Pastor and elder at The Village Church in Flower Mound, Texas. He earned a bachelor’s degree in journalism from The University of Oklahoma, a Master of Divinity in preaching from Southwestern Baptist Theological Seminary, and a Doctorate of Ministry in leadership from The Southern Baptist Theological Seminary. He is the husband of Jenny and the father of two sons, Jordan and Joshua. You can follow him on Twitter @jsmusgrove.